Gary Lee is an interior designer, entrepreneur, and artist based out of Chicago and New York. 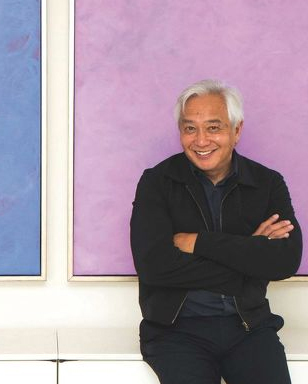 He is the founder of his namesake interior design firm, Gary Lee Partners, a private label furniture company, Chai Ming Studios, and Atelier Gary Lee, a showroom in Chicago’s Merchandise Mart that showcases extraordinary designers from around the world. His paintings are acrylic paint on canvas that explores his passion for color and texture. Created with layers of paint in circular movements, each composition is a unique treatment of specific colors and palettes. His collected works reflect the subtle complexity of his interior design practice and personal style, with each painting revealing its many layers upon close inspection. Monolithic and dramatic, they represent a search for serenity, solace, and an understated elegance. © 2018 Gary Lee. All rights reserved.